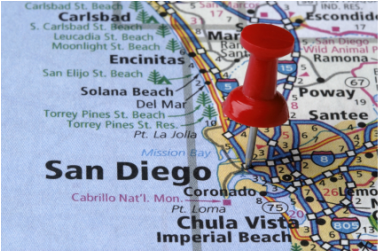 Based in San Diego, California, Strausser Consulting Services was started in 2009 by David Strausser. We specialize in helping businesses across all industries throughout the U.S and Latin America. We are passionate about helping companies achieve superior results with our innovative, technology-based solutions. We study markets and trends throughout the U.S. and Latin America and continually seek new and improved ways to serve our clients. We help customers reach their goals by leveraging our broad industry experience, extensive knowledge of technology, and comprehensive portfolio of services. We aim to anticipate the future needs of our clients and aid them through their transformation journey. Our mission is to help our clients identify new growth opportunities and facilitate their emergence into new markets and sectors. Our extensive network throughout the U.S. and Latin America has helped us deliver the success our clients desire. We have helped multiple customers extend their networks and obtain contracts in their specialized industries. Contracts have been both private and public and we have successfully closed a number of deals with all levels of the Mexican Government. Our most prolific capabilities include business development, sales, and strategic planning. Our results-driven approach builds confidence with our clients and provides a smooth and successful execution in the areas that add greatest value to their organizations. 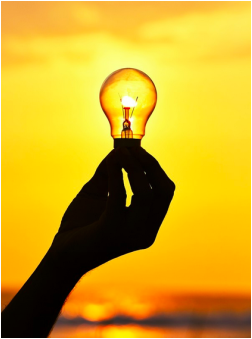 We have a long history of helping our customers solve their problems by using our fresh eyes and creative thinking to find unique solutions to their problems. Baja Bound Mexican Insurance Services, Inc. Growing our network by connecting people and building long-term relationships around trust, integrity, and respect in order to promote the expansion of businesses throughout Latin America. Our mission is to serve our clients with integrity and excellence in the highest regards in order to address their business needs and drive real results. Our company focuses on working with individuals who possess the highest qualities and are passionate and knowledgeable in their respected fields. Allowing our associates and customers to not only grow professionally by working together but also promotes personal growth. We strive to build long-term relationships of trust with every client by putting their needs and interests ahead of the firm’s. We live these values each day in both our professional and personal lives. They help guide every decision made within the company and shape our future. Our business operates with high integrity throughout all exchanges, both internal and external. All transactions are ethical and honest. We represent our clients truthfully with transparency. Our customers are our priority. We strive to meet and exceed our customers’ expectations and provide exceptional customer service from beginning to end. Every customer will be treated equally and receive the highest quality work, no matter the size of a project. We strive for excellence and all of our work will show our passion for success. Through our determination and commitment, we will do whatever it takes to aid in the success of our clients. We embrace and respect all the differences among our team members, customers, and countries we conduct business in.